Hello learners, this is a beginner level course on Alexa Skills Development, step by step following the course you will be all set to develop your own Alexa Skills and customize Alexa in your own way. The course takes off with the devices that are equipped with Alexa and also the instructions for setting up those devices. Next to that, the famous Raspberry Pi device is equipped with Alexa by bringing the Alexa Voice Service into it. 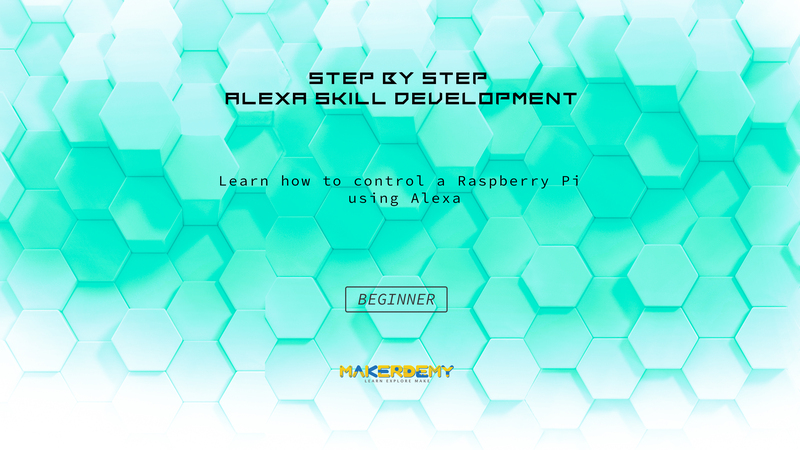 Then the course moves on to building custom skills, a very basic custom skill development will be done in the usual long way to let you know the complete processing required to develop one, later the same basic skill will be again implemented using the Alexa Skills Kit Skill Development Kit. Then some more custom skills will be developed exploring AWS DynamoDB and AWS S3 using the same SDK. The course gives clear instructions on how to install required software to control the Raspberry Pi devices using Alexa Skills. Next to that, Alexa Skills to control LED, Servomotor, Webcam and temperature sensor connected with Raspberry Pi will be developed. The course also gives detailed explanation of all the coding involved in developing Alexa Skills through simple coding snippets. The course has few projects that can help you to practice and master the concepts by yourself. While doing your projects and going through the course, you can feel free to ask your doubts on the Udemy discussion forum. You will get a response within one working day. Thank you and have a nice time learning.